Robert Blum has been President and CEO of Cytokinetics since 2007 and previously held roles of increasing responsibility since starting the company in 1998. Previously, Robert led Business Development and Commercial Development functions at COR Therapeutics from 1990-1998 and began his industry career at Syntex Corporation (Roche) and Marion Laboratories (Sanofi). 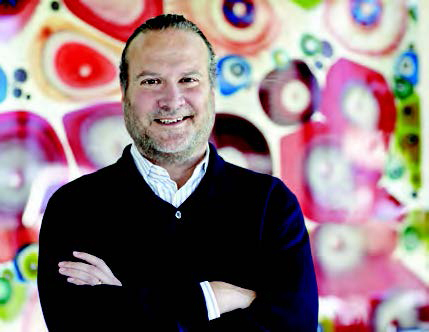 Robert served on the faculty at the Center for BioEntrepreneurship at UC San Francisco. He co-chaired the BIO Business Development Committee and has been an investor/consultant to emerging biopharmaceutical companies for over 30 years. Mr. Blum served on the National Board of the American Committee of the Weizmann Institute of Science and established the Blum Family Venture Philanthropy Fund to propel basic science discoveries at the Institute directed to incubate start-up’s and propel innovation for the Israeli life sciences economy. In addition, he established the Tikkun Olam Youth Science Prizes for Bay Area schools designed to further science education in the spirit of repairing the world. Robert served on the Board of the Jewish Community Federation of San Francisco and founded and chaired its Business Leadership Council. He also served on the Boards of San Francisco's Contemporary Jewish Museum and the Anti-Defamation League and now serves on the Board of Jewish Children and Family Services of San Francisco. Robert was named a Henry Crown Fellow of the Aspen Institute and is a member of the Aspen Global Leadership Network. Mr. Blum received B.A. degrees in Human Biology and Economics from Stanford University and an M.B.A. from Harvard Business School.